With the risk of coming out as a brag, I have no choice but to say how proud I am that BMW has once again proved why it’s one of the top automobile brands in the world and probably the top engine manufacturer. The International Engine of the Year Awards feature 11 Awards categories and BMW was awarded three of them: 1.6 liter four-cylinder twin-scroll turbocharged engine in the MINI Cooper S, 3.0 liter straight-six TwinTurbo and 4.0 liter V8. 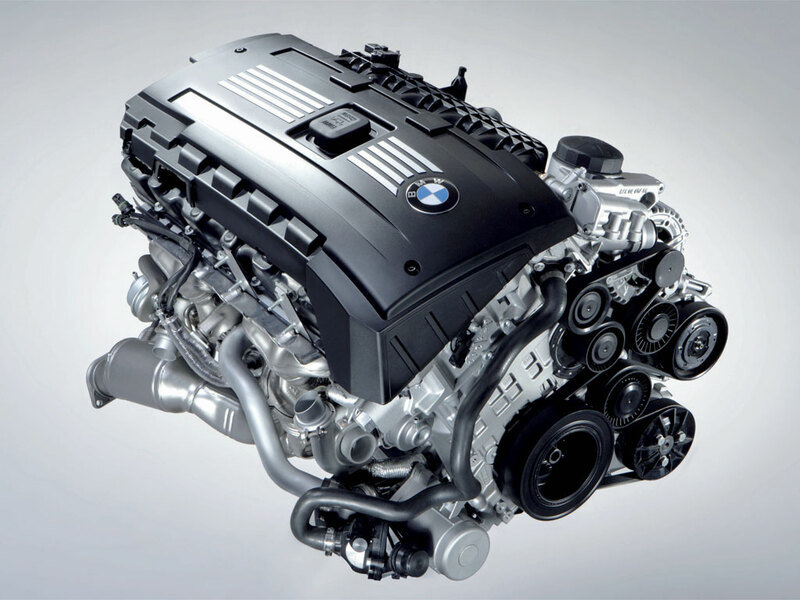 Once again, congratulations BMW and we look forward to the new three cylinder and six cylinder twin-scroll engines, and last but not least, the quad-turbo engine that we’ve been hearing about. Scoring outstanding wins in the three categories of the International Engine of the Year Award, the BMW Group once again highlights its top position this year as a manufacturer of particularly powerful and, at the same time, efficient engines. In the world’s most significant engine contest, the V8 power unit featured in the BMW M3, the straight-six with Twin Turbo Technology to be admired, among other models, in the BMW 3 Series, the BMW 1 Series and the BMW X6, as well as the four-cylinder twin-scroll turbocharged engine in the MINI Cooper S, have all scored triumphant victories in their respective classes. The Awards were presented on 17 June 2009 at the Engine Expo in Stuttgart. This triple victory continues the BMW Group’s story of success in the International Engine of the Year Award. In this contest held since 1999 BMW engines have brought home overall victory no less than six times, including the four last years in a row. This year’s three winners once again thrilled the jury through their fascinating development of power as well as their up-to-date efficiency. This combination of such superior virtues is the result of the BMW EfficientDynamics development strategy characterising both the eight cylinder from BMW M GmbH, the straight-six from BMW, and the MINI four-cylinder. In the engine category between 3.0 and 4.0 litres the V8 power unit featured in the BMW M3 successfully defended the title it had already won last year. Indeed, this 309 kW/420 hp 4.0-litre makes a substantial contribution to the success of BMW’s high-performance sports car in the market, now available in the guise of the BMW M3 Coupé, the BMW M3 Saloon, and the BMW M3 Convertible. The 3.0-litre 225 kW/306 hp six-cylinder with Twin Turbo and High Precision Injection, in turn, this year dominates the engine category between 2.5 and 3.0 litres for the third time in a row. Continuity has also been the name of the game in the engine category between 1.4 and 1.8 litres ever since the year 2007, with the 1.6-litre four-cylinder power unit in the MINI Cooper S with its twin-scroll turbocharger, direct gasoline injection and maximum output of 128 kW/175 hp still setting the standard. The decisions on the International Engine of the Year Award are taken by an international jury made up of renowned motoring journalists. This year the team of no less than 65 experts came from 32 countries, awarding prizes in eight engine classes based on size and in three special categories, as well as the special award for the overall winner. In the eleven contests held so far since 1999, the BMW Group has already brought home more than 40 trophies. This ongoing success in the world’s most significant engine contest is impressive proof of the BMW Group’s unique competence the world over in the area of powertrain development.